It’s 6 weeks into my yearlong experiment of Flashback Fridays, and while for the first 5 weeks, I’ve talked about various topics I am passionate about (unbridled worship in week 1, the need to be loved and accepted in week 2, knowing your beliefs and taking a stand in week 3, changing our own world we live in in week 4, and pivotal events in one’s life in week 5), and also linking them to various events in my personal life; this week, I’m going to go straight to the point with hopefully little to no preamble. So I’ll just simply say that last Saturday was probably one of the most saddest days I can ever remember, for me personally. So what did happen last Saturday that has shaken me to the core, and has me feeling emptier? Was it a death of some sort, or a sickness in the family, or a loss of faith of someone close to me? Nope, nope, and nope, nothing like that at all! You’re way off the mark. It’s nothing personal at all, but it kinda is as well. And the event that happened was that…Third Day (one of my favourite Christian bands ever!) broke up. Yep, you heard me. It’s not a death, nor a severe illness. It’s a band breakup. Really, I hear you saying. Am I serious? I mean, am I trying to pull your leg? Well, let me explain a bit… After 25 plus years of being together as a band, Mac Powell, Mark Lee and David Carr decided to part ways, and felt God calling them to new and untapped areas in their lives, different places where God was leading them that they probably felt like they needed to explore, and that this was the right time to turn the page, start a new chapter, and follow God’s lead. As always, you can check out Third Day’s discography and history on Wikpedia, but let me say that apart from when Delirious? split in 2009, I have never been this affected, emotional, blindsided, sad, confused, perplexed, frustrated, and maybe a bit angry, than when I was in 2009. Apart from Delirious? who split up without warning, it is Third Day that has me completely shocked, and wondering why now. Why did the band break up, after they were going so well, after the release of a thoroughly enjoyable new album Revival, and particularly when I personally felt they had so much more years in them? It was Third Day’s left-field decision that made me wonder ‘which artist is next!’- but when artists like Downhere, David Crowder*Band, BarlowGirl, Bebo Norman, ZOEgirl, Jonathan Thulin, Group 1 Crew, dc Talk and others split up/retired/faded into oblivion, sure I was sad, but not this sad. I was impacted for sure, but not as much as Delirious? 9 years ago, and Third Day last week. Maybe I’m placing more importance on my love for Third Day, than my love for other artists like MercyMe, Casting Crowns, Newsboys, Michael W Smith. Steven Curtis Chapman, Natalie Grant, Tenth Avenue North, Francesca Battistelli, Building 429, Switchfoot, Sanctus Real, Chris Tomlin, Meredith Andrews and for KING & COUNTRY to name a few. Maybe I’m subtly alluding to the fact that Third Day may be my most absolute favourite artist ever…but that’s just not true. I mean, if any of those aforementioned artists in this paragraph, suddenly decided to quit tomorrow, I’d be equally as impacted and equally as sad as last Saturday. So what does this mean about Third Day, and why are they so special? Well they’re not, in the sense that they’re just one band in the sea of many bands out there, yet they’re also one band in the list of my many favourite bands ever. But Third Day is special, in the way that they’re the band that has made me aware of one thing, and that’s the takeaway message here- that life is fickle, and we all need to enjoy the big moments as they come, instead of wishing for something better, and hoping for something more profound. Just like I’m sure how the band maybe didn’t envisage their retirement a year ago or even six months ago (I don’t think any other band/artist does- as most artists probably want to keep doing music until God tells them it’s absolutely time, or they die! ), I reckon whatever we are doing now wasn’t what we thought we’d be doing a year ago, or even a month ago. Life is funny like that, there are twists and turns, but what Third Day, their career from humble beginnings to stardom, to sudden retirement and an unknown open road ahead of them now, have reminded me, at just the right time, is that you never know what is around the corner, what comes tomorrow. So we shouldn’t grumble and wish for something better. Because whatever situation you are in right now (and I’m telling myself this too! ), God has you there for a reason. It may not be clear now, but because of His promises and faithfulness evident throughout the ages, time and time again; we can rely on a faithful God, and we can trust in the outcome, even if we do not know all of the steps before us. For this blog, I meant to speak about 1 album from 1 artist and later on in the 52 weeks, I’d speak about another album of the same artist- that’s if I was delving into 2 albums from the same artist. 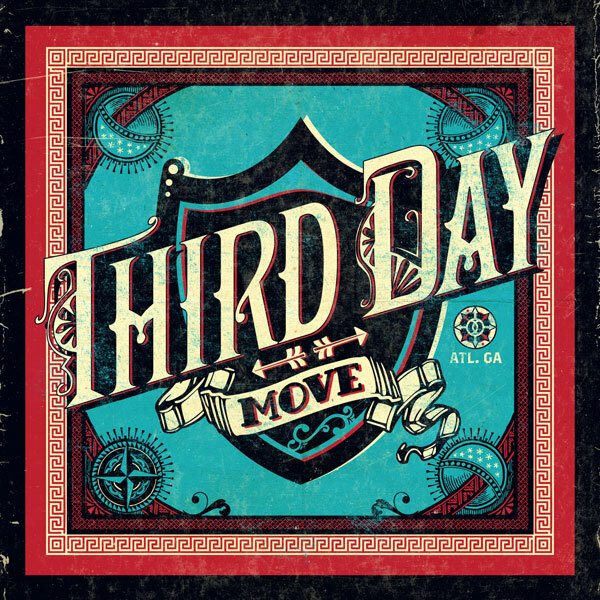 But since we are celebrating the music ministry of Third Day, and marvelling at the songwriting ability of Mac Powell and his bandmates (or should I say ex-bandmates!) 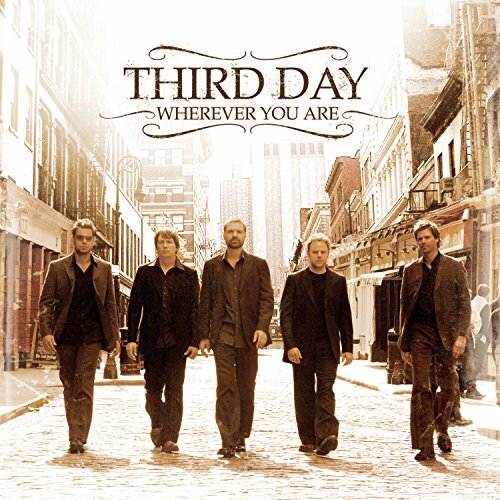 Mark, Tai, David and Brad; let me point out 2 albums out of Third Day’s entire discography that tug at my heart the most, kinda like killing two birds with one stone sort of thing. Anyway, as this blog is as long as it is already (and frankly, I reckon, this preamble, which I did in fact promise little of, or nothing of, is quite necessary in you guys appreciating how much Third Day have impacted my life- how ironic! ); I won’t talk about what each song means to me (or maybe I will at a later date and link it here later, or update this post later! ), but I will let these songs speak for themselves, with the playlist of both albums Wherever You Are and Move below. Has there been a sudden change in your life or the lives of others (those you know and/or those you love and/or those you admire and look up to!) that has you questioning quite a few fundamental things you believe about life in general? Remember, God has everything in control, so hold tight, and let Him guide you to where He wants you to be, and to where He is calling You. And also, let us know your fears, and hopefully we can speak encouragement into your lives! sad to see third day go. they’re one of my favourite bands, along with newsboys, casting crowns, tenth avenue north, for king and country, switchfoot and building 429 currently. Let’s hope and pray they get back together again. Some bands do that!